What centenary am I preparing for? 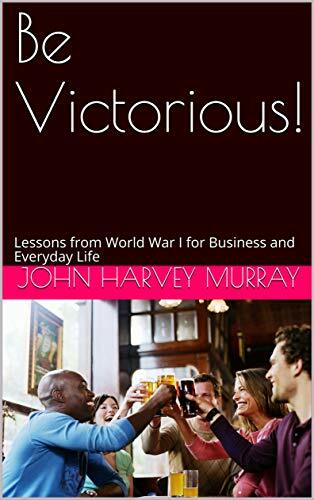 As we are approaching the centenary of the end of the First World War, I am relaunching my book Be Victorious: Lessons for Business and Everyday Life from World War I. I have made some changes to the cover and the interior. How does this book respond to the centenary? If you haven’t read it yet, now is a good time to do so. Find out where we went wrong then and ask if you are going wrong now in the same way in the conflicts affecting you and your business. We’ve heard a lot about the War, the suffering, its impact on the lives of lots of people at home as well as at the Front. But what have we learnt from it rather than about it? Kindle Direct Publishing at the Amazon bookstore. The cover of the centenary edition of the e-book Be Victorious!